and for the child, who is now at the mercy of his father who wants to have him circumcised. In my last post regarding the Florida circumcision case, we learned that the mother of the boy in this case has hired a new attorney, and that the attorney has filed a federal civil rights complaint against the father, the judge and the county sheriff's office on behalf of the child, moving this case from the state to the federal level. I have now learned from many sources that this case may soon be drawing to a close; the mother in this case is in now jail, and the child has been handed over to the father to be circumcised. According to people that I know that are on the ground in Florida, not too long ago, sheriff's deputies stormed the domestic violence shelter where mother and child were taking refuge, and took them out of there by force. According to on-the-ground sources, police had been stepping up efforts in order to nab the child since the federal suit was filed last month, before the mother's lawyer was successful in having the federal court instate a restraining order to prevent mother and child from being arrested. If what my sources say is true, the police were constantly harassing the child's grandmother by going to her house and interrogating her every few days in hopes of nabbing the child. They showed up several times and tried to deceive her into believing that they had permission to enter, when they did not. Law-savvy intactivists on the scene helping the mother queried the police department, and apparently the police were authorized to interrogate the grandmother with no real permission to do so. And finally, according to my sources, the child's grandmother received a taunting anonymous call at 4PM. "Did you know that Chase has been handed over to his father? Do you think that's a good thing?" "Well, your daughter is probably sobbing right now over what happened today. HA HA!" And then the caller hung up. One hour later, they were arrested and taken into custody. The mother's new attorney has filed an emergency motion this very night for an injunction to stop the surgery, but those on the ground are doubtful that this action will make any difference. It is looking like, unless authorities take any action, the father is going to take advantage and have the child circumcised against his will to assert his belligerence and spite the mother. I can only imagine the mother's agony and despair in her jail cell, feeling that all she can do is cry, and I can only imagine this poor child terrified, anxiously awaiting what's going to happen to him next. How despicable that this can happen this day in age in this, our country, where we're supposed to be looking for the basic human rights of others. It took the defendants long enough, but they have begun to react to the fact that they, the father, the judge and others, have to deal with this case in the federal court. The Facebook group dedicated to the defense of the child, Chase's Guardians have taken the liberty of posting the 20-page rebuttal on the part of the father. This is the child's father who is fighting to have him circumcised. for herself, but it's the *mother* he accuses of being "mentally unstable." It looks like the father himself has also hired a new lawyer, and it looks like he has his own tricks up his sleeve. Invoking Rooker and Feldman doctrine and other legalese, it looks like the father and his lawyer are trying to get the case thrown out of course outright, without it even being heard. It looks like this really is no different than what happened in the state court, where the judge, siding with the father, refused to hear arguments made by parties trying to speak on the mother's behalf. 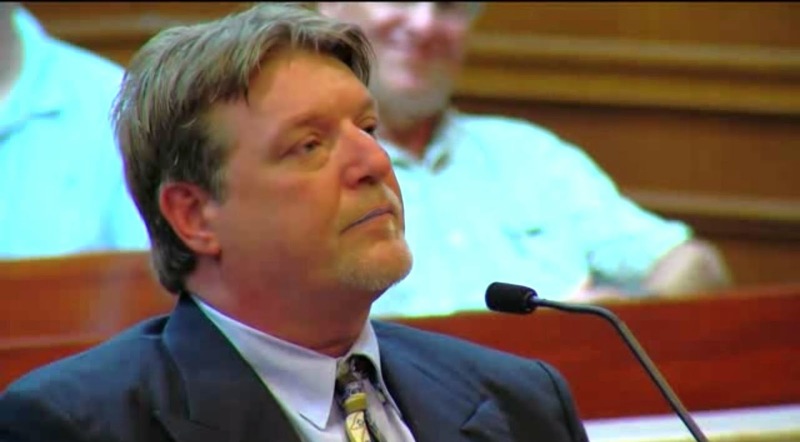 The judge went as far as denying the child a guardian ad litem, making it clear he was just not interested in what the child had to say for himself, his feelings on the matter etc. Nevermind the gag order and other restrictions the judge put on the mother to cripple her defense. Furthermore, it looks like the father and his lawyer have taken the route of trying to attack the mother's character directly, by calling her "emotional" and "mentally unstable. The mother has no history of mental instability, so the father and his lawyer are pulling this out of thin air. In addition, the father and lawyer proceed to call the mother a "fugitive," hiding in secret, when actually, they were legally staying at a Domestic Violence shelter. They further accuse the mother of "indoctrinating" the child to fear undergoing surgery. It is beyond me how a child of 4 has to be "indoctrinated" to fear any procedure that is not therapeutic and only serves to appease the father's wishes. It leads me to ask, if the father and lawyer are so sure they have a legal case, why go as far as to attack the mother herself? To see what the child is actually thinking, why isn't an expert hired to analyze what the child actually thinks to see if what the father is saying is actually true? Furthermore, sources tell me that the father can't even afford Chase's circumcision, and that he plans on using Florida Medicaid to pay for the child's circumcision. Apparently, the father can't afford to pay mother more than 200 monthly in child support, but somehow musters enough money to hire a new lawyer for the federal lawsuit against him. It is clear; the one who is mentally unstable is clearly the father. Nowhere is this clearer than in his determination to impose needless surgery on his healthy, non-consenting son, going as far as making up false allegations about his son needing surgery (His 3-yo son peeing on his leg? At that age what child doesn't? ), sicking the police on his grandmother, and now, attacking the mother directly. State Judge: Constitutional Rights? What Constitutional Rights? will have been responsible for the hastening oftheir deliberate violation. As if trying to feign dissimulation, Judge Gillen tries to play the innocent by reiterating that all he did was enforce the written agreement that he parents agreed to three years ago. This is a bit of an understatement; the judge gave the mother an ultimatum that she was to hand over the child and sign the consent papers for his non-therapeutic surgery or sit in jail until she did. He refused to read amicus curiae filed by spokespeople in her defense, and refused to allow the child to have a guardian ad litem speak on his behalf. Not to mention the judge's gag order on the mother and her prohibition from going to anyone for legal or financial help. He further signed a warrant for the mother's arrest. 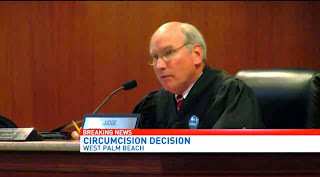 Essentially the judge clearly sided with the father and decided to dismiss anything the mother or anyone speaking on her behalf had to say, and took it upon himself to court-order the circumcision of the child who is healthy, not suffering any medical condition that necessitates surgery, and has expressed that he does not want this intrusion upon his body. The judge, as well as the father and his lawyer argue that the state court decision was made "in the best interests of the child," when the interests of the child were never considered, only the father's interests and his appeasement. The judge essentially denied the mother and child a voice, and then further tried to vilify the mother when she appropriately fled to a Domestic Violence center. It also seems to escape the judge, the father and his lawyer, that the child was less than a year old when the agreement was signed; the child is now 4 and a half, and the circumstances have changed. The child is older now, fully aware and conscious of his own body and his surroundings. The mother now has information she didn't have three years ago when she signed the agreement. Additionally, there is nothing wrong with the child. The child is not suffering any kind of medical condition that necessitates surgery. It has to be asked why, given the new circumstances, the judge refused to acknowledge them, and stayed that the written agreement ought to be enforced and fulfilled. "Judge Gillen did not harm, and does not represent any real or imminent threat," reads his defense, this despite placing a gag order on the mother, placing limitations on her, throwing out amicus curiae filed on her behalf, denying the child a guardian ad litem, ordering the mother to sign consent forms or face jail, and signing the arrest that would cause her to go into hiding. The judge, and everyone else involved against the mother all seem to dance around the crux of the argument; that that which is outlined in the invoked written agreement is actually constitutional and in the child's best interest, especially given the fact that the child is older and not the same child as when that agreement was signed. They all seem to continue to insist that the child, whose body is in question, not be represented or heard. 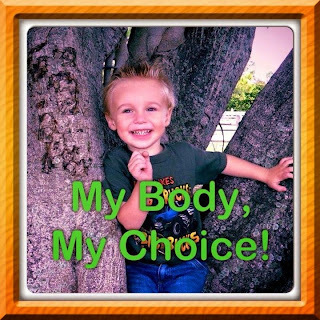 His order for the arrest of Chase's mother, and his threat of keeping her in jail until she signs the paperwork consenting to the circumcision ALSO directly affects Chase and his personal freedoms. Because HIS needs, wishes and constitutional rights were ignored by Gillen in the initial case. Enforcement of that order would leave Chase with no avenues open to protect himself from harm. Whose Emotions and Mental Stability Ought to be Examined? I find it interesting that this child's father has the gall to point in the direction of the mother and call her "emotional" and "mentally unstable," given that it is the father, not the mother, who is dragging this out. This whole process is in itself traumatizing to the child, not to mention the emotional trauma that the child would suffer if he underwent needless amputative surgery on his most intimate part of his body. It is the father who is willing to spend thousands of dollars and precious time to see to it that the child is circumcised as he wishes. He hasn't seen his son in over 70 days. All he'd have to do to see him is just drop the case. Instead, making sure his son's foreskin is surgically removed is far more important to him than seeing him. I'm no lawyer, and in all honesty, it's hard to decipher all the legalese in the counterargument the father's lawyer presents. It seems that some of the allegations in there are rather shady. "...at no time prior to the father attempting to arrange for the circumcision did the mother ever seek to modify the final judgement to raise the issue of any alleged change of circumstance as to why the said circumcision should not take place as previously agreed to, nor did she attempt to raise any constitutional issues on behalf of the child." This seems strange, for I thought the mother spent an entire year trying to do just that, only to be dismissed by the judge, along with anyone trying to help her. The judge was not interested in the constitutionality of what was outlined in the agreement, only in making sure it was enforced. The father's attorney alleges that the mother didn't exhaust all the instances where she could have challenged the court decision. Apparently, when the court of appeals denied her appeal without comment, she should have requested further comment (Which the judge was not in the obligation of providing?). This mother basically had all the doors to her avenues slammed in her face by a belligerent judge, yet somehow she was still supposed to appeal to him again? It doesn't make sense. In another instance, the father's lawyer tries to call the invocation of Boldt Vs. Boldt, where it was ruled a 12 year old could decide for himself what he wants, "misplaced," arguing that the child in this case is "legally too immature to express opinion." Actually, the crux of the Boldt Vs. Boldt case WAS that the child in question "legally immature" to express his own opinion. Boldt Vs. Boldt sets the legal precedent where, much to the chagrin of the parent who wants him circumcised, baring a medical condition where surgery is necessary, the child ought to be consulted in a matter as pertinent to him as the future of his own body, particularly, his most private and intimate part. At the crux of this entire fiasco is the fact that the person whose body is in question is being completely ignored. The child in question is not suffering any medical condition that necessitates surgery. The father clearly wants the child circumcised for his own appeasement, and, it could be argued, to antagonize his ex wife. The judge is clearly not interested in the best interest of the child, but that of his father, to whom he has clearly become partial to. If the father goes through with imposing elective, non-medical surgery on this child, this will essentially be court-ordered child abuse, and the judge, the sheriff and the father are all conspirators. This man is a monster, authorities need to step in to prevent him from imposing needless surgery on the child, the federal courts ought to hear the mother out, see what the child has to say about matters regarding his own body, the judge ought to award the mother full custody of the child, and put a permanent restraining order on his father, so that this mother and her family, but mostly, her son, can rest at ease knowing that they'll be safe. No, this needs to go a step further; this mother ought to launch a counter suit against this man, his lawyer, the police, the judge etc,. for harassing her and her family, and terrorizing her son. Prayers and thoughts go out to Chase, the child in this case. The circumcision of a 4-year-old does not look pretty. poor little Chase will have to go through. As far as your author knows, it is still possible to help this mother financially. 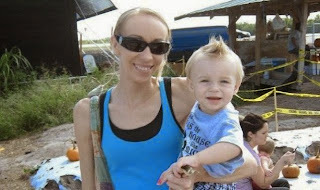 Now, more than ever, Chase's mother needs financial help. 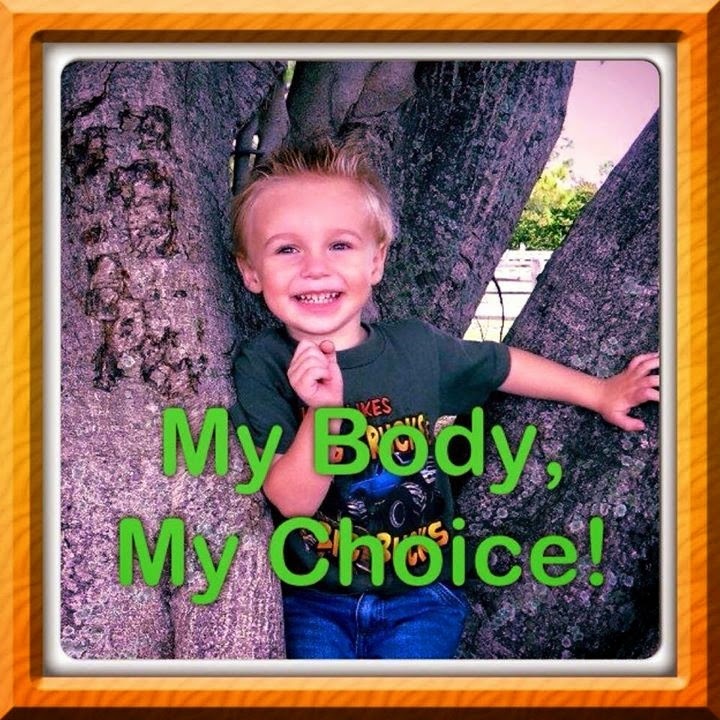 You can donate to Doctors Opposing Circumcision via PayPal and include the words "Chase's legal fund" in the note to earmark the donation for the mother's attorney, or visit the webpage for the fundraiser being administered by Doctors Opposing Circumcision, at http://chasesguardians.org. The constitution does not allow the government to take your property without due process. The government is taking Chase's foreskin (his property) from him without him having due process. Seems pretty straightforward that Party A can contract with Party B to steal something from Party C without Party C's input, especially when there is no consideration associated with this taking. If Gillen sees this a merely a contractual matter, then he must have failed his contracts class in law school. "The constitution does not allow the government to take your property without due process." This does look like one of the most distasteful and needless cases of eminent domain I've ever seen.